The town crier tore through the streets the small housing complex just outside of Neopia Central, bearing news of a new species of Neopet. "The Vandagyre! The Vandagyre has arrived! Just in time for the fifteenth birthday of TNT! Where did they come from? Where have they been hiding for these many long years? No one knows! Read all about this brand new mysterious species!" the Lenny shouted as he handed out special issues of the Neopian Times. "A new species? What does it look like? What can I paint it? Why are we all asking these questions at once?" The crowd around the Lenny informant started murmuring, which eventually grew into shouting. The reactions of those listening to the information ranged from excitement about the new pet and many "D'awws" over how cute it was to fear over just what this new species was capable of and utter confusion as to where the new species came from. "Settle down, everyone," the Lenny shouted to the crowd. "All will be explained eventually. For now, take an issue of the Times and learn as much as possible about the Vandagyre." "A new pet species! Finally! They all called me crazy, but I knew! I knew the truth! Hahahaha! The Vandagyre! A new species exists! Who's crazy now?" The young man continued laughing and yelling at the new issue, much to the dismay of his three Neopets. "Still you, Mathias," Mathias's skunk Lutari said. "Quiet, Roland! Can't I have my moment to bask in the news?" Mathias shot back. "You've been shouting at the newspaper for twenty minutes. The moment came and passed a while ago. I think you even woke Lily and Cammy," Roland snapped. At that moment, the Faerie Grundo Lilith and the Striped Korbat Cameron came into the room. Both were yawning and rubbing the sleep out of their eyes. "Well, speak of Sloth. Good morning, you two," Roland said to his younger sisters. "Who's speaking of Sloth? All I've been hearing is Mathias shouting something about Vader Grr." Cameron yawned. "Ugh, I need tea." She was as far from a morning Neopet as could possibly be. "I think it was called the Vandagyre, and that it's a new species," Lilith said, as quick on the draw as ever. Mathias was still ecstatic over the news. "Do you understand how long I've been hoping for a new species? I've been called nuts far too many times for waiting to get another pet until a new species was discovered?" He asked with far more volume than necessary. "Lower your voice, Matt. It's too early for this," Lilith said in between sips of her tea. "Is it ever not too early for you?" Roland joked. "I think it's cute," Cameron said before the two argued further. She was referring to the new species, the Vandagyre, as she took a quick look at the picture in the paper. "Hm, so it is. Looks like some kind of bird. Wonder if it can fly?" Roland said, taking the paper. "We'll find out soon enough. After you've all eaten and gotten caffeinated, we're going to the mountains," Mathias told his pets. "Ooh! I'll finally have a younger brother or sister!" Lilith squealed. "Wait, why are we going to the mountains?" "The Vandagyre is indigenous to the mountains to the west of Shenkuu. We're going there to get one," Mathias said eagerly. "You seem way too hyper. How much coffee have you had?" Lilith sighed. Roland began smirking. "Or... we could just go to the Create-a-pet. There are going to be a lot of Vandagyres there looking to be adopted." The news caught even Mathias by surprise. An hour later, Mathias and his trio of pets were left waiting in line for at the Create-a-pet center. As Roland had stated, there were a lot of Vandagyres sitting in front of the slightly mysterious building, all looking to be taken in by a loving owner. "Roland, how did you know that this would be happening here?" Mathias asked. "It was in the article about the new species. Did you read anything past the headline?" Roland replied with a very sarcastic tone. The line was at least an hour long. It looked like there were about twenty other people in front of Mathias. He began to look highly irritated at how long they were likely going to be there. He really wanted to get the new pet and start showing him off to others. With each passing person, though, he grew less annoyed and far more hyped than he had ever been before. After a long wait with surprisingly little complaining from Mathias or his pets, it was finally their turn to adopt a Vandagyre. "I definitely want a Blue one," Mathias thought out loud. He started looking and quickly found a blue Vandagyre among the crowd. "Excuse me," Mathias said, getting the attention of the avian creature. "The name's Mathias. What's yours?" "Oh hello, Mr. Mathias. My name is Draven." "Hmm, an easy to pronounce name, the exact color I want..." Mathias thought to himself. "Hi, Draven! I'm Roland, and these Cameron and Lilith." Roland introduced himself and his sisters. "Very well met, friends. Is Mr. Mathias your caretaker?" Draven asked politely. "Yes, he is, and a very good one at that," Cameron replied cheerfully. "I like him, Mathias. Can we keep him?" Lilith asked their owner, a pleading look in her eyes. "The exact color I want, a good name, and my other pets like him... Yeah, I'm really feeling it!" Mathias exclaimed. "Draven, you want to come home with us?" "Oh most certainly, kind sir! This is a joyous day!" Draven responded eagerly. "Then let me just go fill out the proper forms and we can go get you settled." Mathias, Roland, Lilith, and Cameron then left with Draven the Vandagyre in tow. It looked like it was going to be a good day for everyone involved. For the next few weeks, life was grand for Mathias and all of his pets. Draven quickly adjusted to life with his new family, and the family adjusted to life with a new Neopet. Roland, Cameron, and especially Lilith all grew to love their new sibling, and Mathias was simply in love with the new species and pet. Mathias loved showing off Draven and even joined a Vandagyre fan club. He made sure to get a lot of pictures with the perfect background, clothing, and accessories. But somewhere along the way, something changed. Mathias began to feel something new to him. 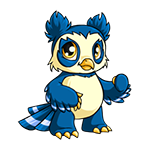 The wave of hype and euphoria over a new Neopet species began to wane. With each passing moment, he grew more unsure of his decision to get a Vandagyre. "In hindsight, I really don't like how the species looks." "But just wait to see what it can be painted!" "You can cover an Elephante with a sheet, but it's still an Elephante." "But all of your other Neopets love him! You don't want to upset them, do you?" "I know my pets. They'll love anyone I bring in." "You can't seriously be considering putting Draven in the pound, can you?" These thoughts occurred to him constantly. Night after sleepless night, he argued with himself over what to do with him. He now knew the feeling that was eating away at him for he past few weeks; regret. It was another morning in Mathias's household. He was up far earlier than any of his Neopets though. It was another sleepless night for him and he needed coffee. He left a small note for his family stating that he'd be back soon and left silently. He grabbed a coffee from the coffee shop near the art gallery. While he was there, he decided to take a quick look through and see any art of the Vandagyres. The artwork was beautiful and very well done, but Mathias still felt empty inside. "Why can't I like you anymore? You're a great pet and the rest of my pets love you. What is wrong with me?" he thought disgustedly to himself. "You don't like the Vandagyre?" The voice startled Mathias so much that he almost dropped his coffee. He wasn't expecting to see anyone else down here so early. "Um, no. Not really," Mathias replied, realizing that he must have thought out loud. "Oh, that's a shame. I'm a big fan of them and want to get one of my own. My name's Michael. Yours?" the young man asked earnestly. He was followed by an Aisha, Xweetok, and Wocky, all of whom were staring at the different artworks. "Why don't you like those pets? They're adorable and seem very friendly." "I really don't know. I got one when they were first discovered, but I'm not really feeling it anymore. I'm not so sure I want to keep him. He might end up in the pound," Mathias answered, but he seemed like he was in pain doing so. "Wait, you're going to put it in the pound?" Michael asked quickly. He seemed more concerned by the minute. "I... I was thinking about it." "Wait right here. I need to ask my pets something." Michael quickly walked away and called his three pets over. He started talking to them, but Mathias was unable to hear anything they were saying. He noticed that the three pets all nodded almost simultaneously. Michael walked back over to Mathias, now with his pets in tow. "I happen to really want a Vandagyre, and you don't seem to want yours," Michael said. "That appears to be the case," Mathias said, pretty sure of where this was going. "And you are probably going to put yours into the pound?" Michael asked again. "Instead of putting your poor pet into the pound, would you be interested in transferring your Vandagyre to me? I have room in my family and would love to prevent a pet from going to the pound," Michael asked with the most sincere look in his eyes. His pets all seemed to support the idea. "I don't know," Mathias said. "I promise to provide a very good home and loving family for him." Michael gestured to his pets. "It... it might be for the best. But what will my other pets think? They all love him..." Mathias pondered. He was completely unsure as to what the best course of action to take was. "Your pets can visit him any time they want," Michael answered, removing some doubt from Mathias's mind. "Are you sure you'll take proper care of him?" Mathias asked once more, just to make sure he was doing the right thing. "I swear on my honor that I will take the utmost care of him," Michael reassured him. "Then this is for the best. Give me your information so we can set up the transfer," Mathias said. Deep down, he knew this was the best outcome for Draven. "What? A new home and owner?" Draven shouted. Mathias just broke the news to his pets that Draven was going to be transferred. "But Mr. Mathias! I like it here! I love my family! Have I done something wrong?" "Seriously, Mathias? Why would you do this?" Roland shouted. "B-but I don't want to lose my little brother!" Cameron started to cry. It pained him to do this, but Mathias knew this was the best thing for all parties involved. "Draven, it's not you. You've been a great friend and part of this family. It's something I really can't explain. When the species was first discovered, I wasn't really thinking clearly. I was too excited about the prospect of a new species for any real rational thought. I did find you a good home, though. He said he would be more than delighted to take you in." "But what about us? Mathias, please don't do this!" Even Lilith was getting worked up over this. "Roland, Lilith, Cameron, I'm really sorry, but I have to do this. The man I'm transferring Draven to, Michael, can provide a much better home for him. And he said that you could visit him any time you want to. "Please understand, I really think this is the best option for us. I'm so sorry to do it though." Mathias began tearing up. He didn't want to hurt his pets. They were his family, but he knew he had to do this. "If-if you really think this is for the best, then so be it." Draven spoke up. The rest of the family looked up at him in shock. "I do not know why you think this is the best option, but I trust your judgement, Mr. Mathias," Draven said, as calm and collected as ever. "Again Draven, I'm so sorry about this," Mathias replied tearfully, "but I really think it's for the best. Let's get you to your new home." With that depressing moment, Mathias and his pets left for the Pound and more specifically, the Transfer room where Michael and his pets were already waiting. "You are looking to send a pet between the two parties currently present, correct?" the robotic Hissi stated in a very matter-of-fact voice. "That is correct," Michael answered. "Correct." Mathias was speaking in a tone almost as monotone as the Transfer Hissi. "Please provide the proper paperwork stating the pet to be transferred and who the new owner is to be." "Are you sure you aren't too upset about this?" Mathias asked Draven. "I trust your judgement, Mr. Mathias. If you really think this is the best for everyone involved, then I will go home with the new owner," Draven answered earnestly. With that response, Mathias decided that this was truly the best possible outcome for the pet. "Then I have the paperwork and would like to transfer the Vandagyre Draven to the new owner Michael," Mathias said to the Hissi. "Paperwork received. Processing. Please stand by," the automated voice said. "Well, Draven, it's a pleasure to meet you. I'm sure you'll love being part of our close family," Michael said, introducing himself and his Neopets to Draven. "While I am happy to be part of your family, Mr. Michael," Draven looked over his shoulder at his former siblings, "I don't want to lose contact with them. They are close friends." "Not a problem at all, Draven," Michael said as he walked over towards Mathias's pets. "You are all more than welcome to come visit Draven at any time. Don't be a stranger!" Michael said cheerfully. Mathias's pets were noticeably less upset after hearing this straight from the source himself. Mathias wouldn't have to watch the new pet, Michael got his new dream pet, and Roland, Cameron, and Lilith would all be able to see Draven as much as they wanted. This really was the best way for the situation to turn out. "I suppose this is goodbye, Draven," Mathias said, his voice cracking. "Indeed it is. But I will see you again soon, won't I? You and the rest will come to visit, right?" Draven asked. "Of course we will," Mathias said, struggling to hold back tears. "Processing complete," the robot Hissi finally said, bringing an end to this very long goodbye. "Good luck and enjoy your new home."